If you run a cafeteria, industrial kitchen, or another form of food service, you’ve probably considered installing software. But you may not be clear on what benefits there are waiting for you. Here are five tasks that food service management software will make easier for you, no matter what kind of food service you run. One of the most important and sometimes most aggravating jobs in food service is knowing what you’ve got, how much of it you have, and knowing when you’re going to need to order more of it. With food service management software, you’ll be able to enter amounts as they come in, and track how much you’ve got left at the end of each day. That way, you’ll have a better sense of your inventory, giving you more flexibility. Few people appreciate just how much work has to go into feeding dozens, sometimes hundreds or thousands of people three meals a day, every single day. But as anyone in food service knows, prep and properly following the recipe is the most important part of production. Food service management software allows you to quickly put out the paperwork you need to ensure prep goes smoothly, and lets you introduce new recipes much more easily than in the past. Cooking, even in an industrial setting, can be a lot of fun. Paperwork, however, is rarely what you call entertaining. Food service management software can help you generate the reports you need to keep up-to-date on your kitchen and provide information to medical staff, accounting personnel, and anybody else asking you to deliver them a form. That way, you can keep the focus on what you want to do, not what you have to do. In settings such as nursing homes, schools, and hospitals, part of your job is making sure that the people you’re responsible for feeding are getting the nutrients they need. With the right software, you’ll be able to track each meal served to each person over time, and be able to generate reports as requested so that you and medical staff can make adjustments as needed. And that can save both you and the medical staff you work with a lot of time, and even help spot potential problems before they become an issue. One of the biggest problems in food service today is cutting the cost of food without reducing the amount or quality that your kitchen serves. Especially as reimbursements drop and food costs rise, it’s a challenge that’s becoming more and more complex. 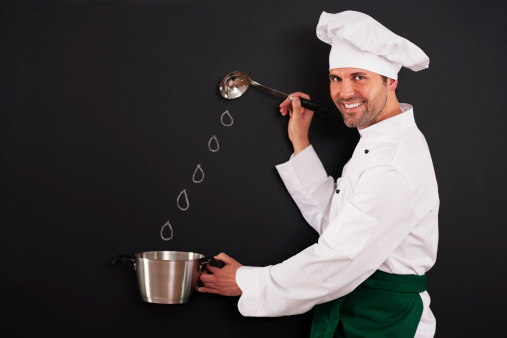 Food service management software allows you to stretch your budget in ways that weren’t possible before. By tracking what gets eaten, what doesn’t, and where demand is growing or shrinking, you’ll be able to reduce waste, cut costs, and keep your kitchen serving the high-quality food it’s known for. If you’re looking for the best in food service management software, try Dietary Manager Online. It’s designed by food service professionals for food service professionals, and built from the ground up to stop waste, save money, and make your kitchen more efficient. Use the power of software to make your kitchen the best it can be, with Dietary Manager Online. Click here to contact us for more information!